ARC, Handyman for the Homeowner! Being a homeowner is awesome and nothing can compare to the feeling of closing on your first home. Let’s say that you are a young professional, solidly into the first few years of your job right out of college. Things are going well, you are getting noticed at work, your bank account is growing and you finally think you are ready to buy your first home. Before you do however, you need to consider a few different things. Just like anything, buying a home is a risk, even a new home can be filled with inconsistencies and unforeseen issues. At American Residential and Commercial Services we get the little problems that tend to pop up when you own your first home. 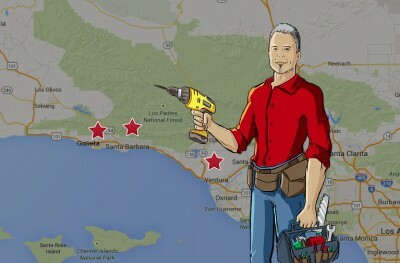 We proudly serve the areas of Santa Barbara, Carpinteria and Ventura, offering exceptional handyman services to the community. A handyman is a critical relationship when you own a home, particularly if you are not necessarily fond of performing home maintenance yourself. Working on your own home can be exciting but, let’s face it, the joy tends to fade after the first few hours. That is where we come in. In this day and age everything is built very reliable and we tend to forget that issues arise out of the blue. For instance, back in the 40’s and 50’s pretty much everyone was an expert on changing flat tires on their cars. The technology of the day dictated that tires were not up to the standards that they are today, meaning that flat tires were very common. 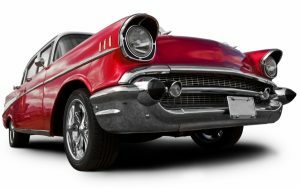 So if you have the undeniable urge to buy that all original, ‘57 Chevy, you would probably be a bit skeptical if it had the original tires. Click Here For Our Customer Reviews! When it comes to homes, the designation of “all original” can be a double-edged sword. If you are looking to buy a vintage 1930s craftsman bungalow, chances are that upgrades have been done at some point. The value of these homes is in their design and aesthetics, not the equipment inside. If you find a gorgeous, vintage 1939 home that is advertised as being all original, take this advice—run. While it is unlikely that a home like that has not had a serious renovation, if the wiring and the plumbing have not been touched, you have a long road ahead of you. That is why, particularly with your first home, it is absolutely critical that you buy smart, not just out of emotion. It sounds easy enough but when a home that has everything you have ever wanted is sitting in front of you, it may be easy to overlook the negative. The issues that you thought you could deal with could possibly turn into a nightmare. Now, all homes have there issues at some point or another what is important is how you deal with them. Calling ARC Handyman Services is the ideal way to ensure that your home issue is taken care of, we have the experience and talent to make it right. Now, we can’t go in and put up that new, second story above the garage or anything major like that but just about anything else to do with home maintenance, ARC Handyman Services has you covered. The first time homebuyer is particularly vulnerable to the issues that may arise. If you have not owned a home before, it can be difficult to notice potential issues that need to be addressed right away. When it comes to dealing with a problem with your home it is very important to have it looked into as soon as possible. 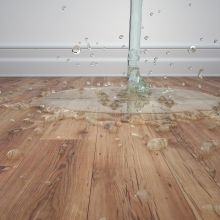 We know how it it can happen, that roof leak goes unnoticed for far too long can eventually lead to catastrophic consequences. The time to act is when you see the first signs of the issue, in this case a leak may show up as a discolored spot on your ceiling. If that is the case it is detrimental to your home to have it fixed. We realize that your home is your baby and proper maintenance is the key to keeping everything just right. At ARC Handyman Services we are here for you in your home’s time of need. So please, give us a call today and let us know how we can help you!